Here are the contents of my purse/handbag. My mother always said you weren’t supposed to look inside someone else’s purse. Is that because you may see something private, something for my eyes only? Maybe the items inside reveal something about me. 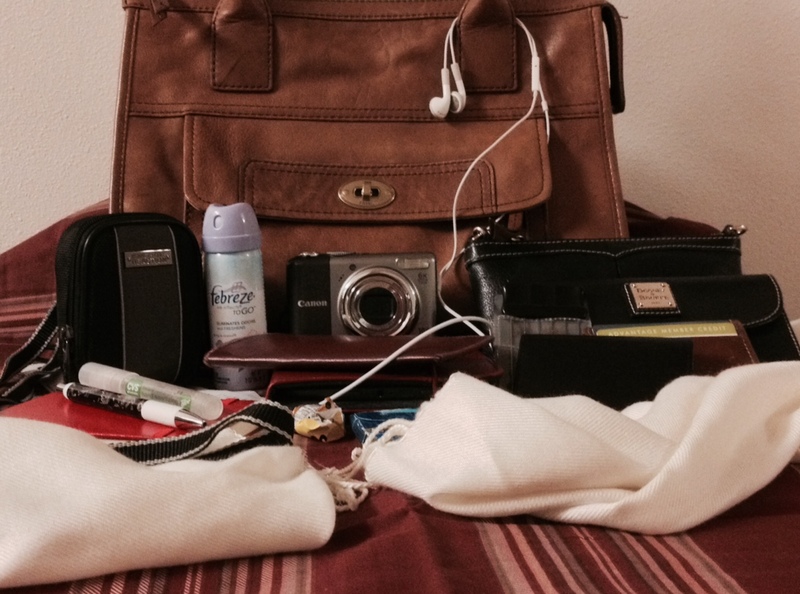 The only thing that I think it reveals is that I like to carry around a lot of stuff. What do you think? This entry was posted in Foto Fridays! and tagged 2 Dope Sistahs, 30 Day Photography Challenge, Foto Friday, Handbags, Photography, Pinterest, Purses by Da Realist 1. Bookmark the permalink. That’s not too much stuff! My mother’s purse is worse! But just imagine what I’ll be carrying around when I’m her age.